Best Air Filter for 6.7 Powerstroke Reviews: Top-5 in April 2019! The Ford Power Stroke first appeared in 1994; it became the standard engine for all the F-Series trucks, as well as E-Series, Excursion, and LCF commercial truck. The engines were produced by Navistar until 2010 when Ford started to produce their own in-house 6.7L Power Stroke engines that are now dominating the market. Now let’s take a look at the five best air filters for 6.7 Powerstroke diesel engines. 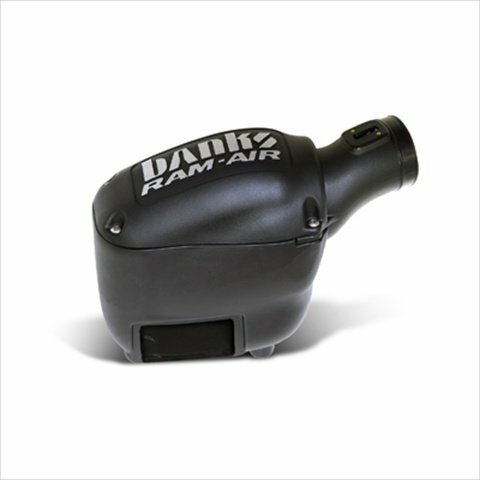 This is the BANKS 42215 Ram-Air Intake System number 44 for 2011-2016 Powerstroke engines. This ram-air intake is not a filter on a stick model, this is a performance upgrade that will blow your engines socks off with cool, clear air. This model improved HP and torque by 26% as well as reduces the EGT’s and the MPG significantly. The design features a single shell composite body that holds out the engine heat and maintains a cool flow of internal air pressure. This is enhanced with the large air filter made from high-density paper and is designed for an aerodynamic performance upgrade. There is also a red oil filter option if you prefer it to the black dry filter choice. This is an easy to install model and will take around 90 minutes to complete. This is an exceptional model and a unique one with its ram-intake design and performance. If you have a 2011-2016 Powerstroke, I suggest this as your upgrade. This is the aFe Power Magnum FORCE 54-11872-1 air intake kit for 2011-2015 Powerstroke applications. This aFe filter is designed to deliver extra power and performance to your 2011-2105 6.7L Powerstroke engines, and it does so by using a pre-oiled, large 8″ tall around 360-degree radial flow performance air filter that is constructed from 5-layers of progressive finer mesh cotton. It also comes with an 18-gauge Powder-Coated One-Piece Heat Shield that is designed to help reflect heat from the engines proximity. The filter is the Pro 5R pre-oiled and washable filter found in most aFe air intake kits. The system has been dyno tuned, and it is a CAD designed model using a roto-molded intake tube that delivers maximum power gains, as well as using a 3-angle adaptor to help speed up the airflow for improved throttle response. Ultimately, this model will give you a 26HP increase in power with a gain of 80 lbs/ft torque, and it provides a 64% increase over the factory intake. 64% improvement over OEM intake. This model provides massive gains over stock performance models and is an optional aftermarket upgrade for all 2011-2015 engines. 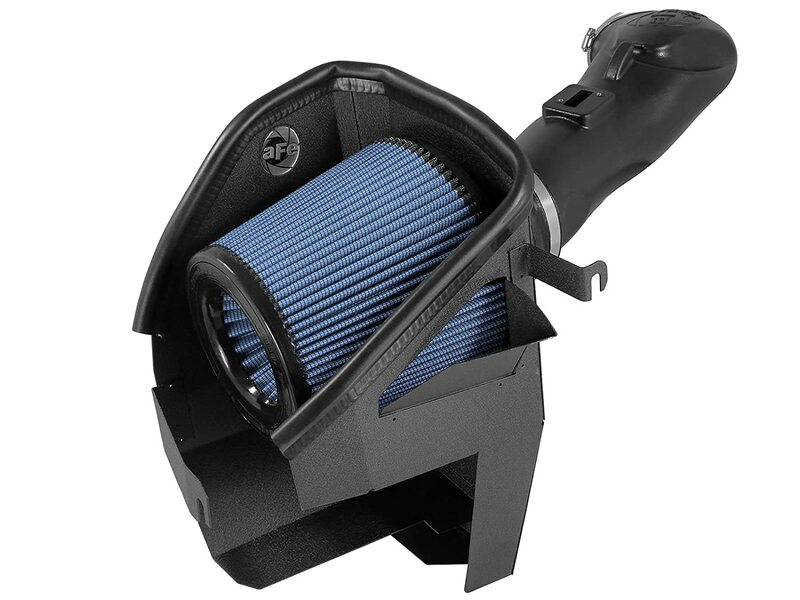 This is the S&B Filters 75-5104 Cold Air Intake kit for 2011-2016 applications. 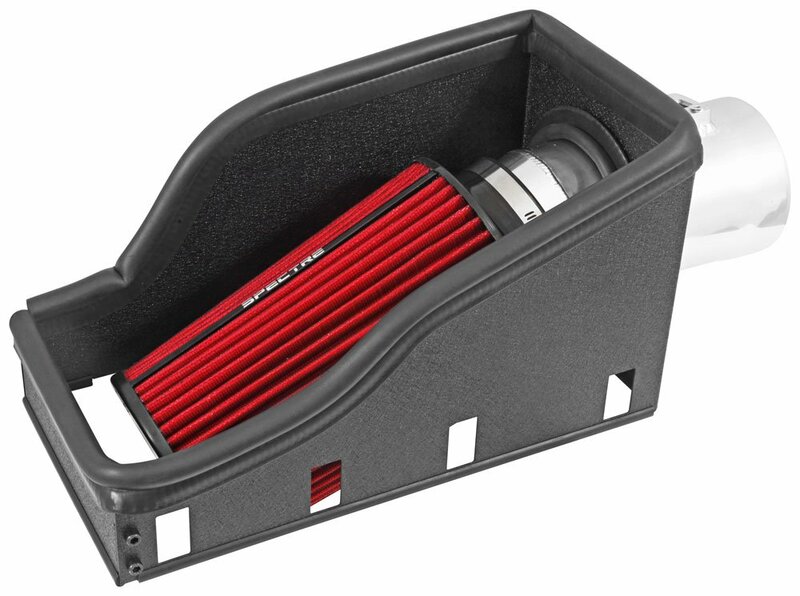 S&B is a global force in the aftermarket scene, and this model of their air intake collection is focused on 2011-2016 Ford Powerstroke 6.7L engines. The 75-5104 is engineered to minimize air restriction and flows by 36.98% better than stock. The 75-5104 is designed with a fully enclosed airbox that provides total filter protection from dirt while it restricts engine heat from affecting the cold air inflow. The box uses silicone seals and couplers that are both thermal resistant and more flexible than rubber. These silicone seals provide absolute protection, and the filter minder is relocated for performance. This model comes with a large air snorkel and lips to improve air intake, retaining the cool flow that provides optimized air flow and temperatures for performance. The funnel lid is also made of silicone, this helps to isolate the engine heat even more. This is easy to install and maintain the model. I wouldn’t look for anything to compete with an S&B, it is a great performance replacement, and is really easy to install and is virtually maintenance free. 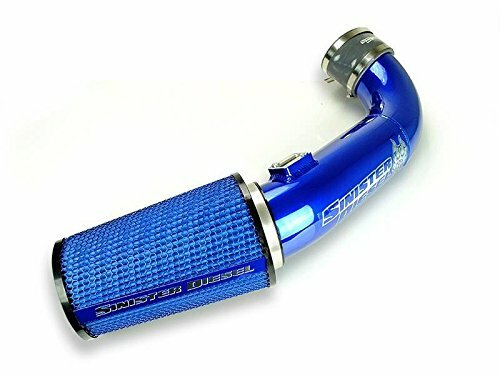 This is the Sinister Diesel® SD-CAI-6.7P-17 Aluminum Blue Cold Air Intake System for 2017 and newer models. Sinister by name, but exceptional by performance. This model is designed with 5 performance enhancing characteristics; Strength; Performance; Simplicity; Durability; and Fit. (direct quote from Sinister). This model meets all those demands, and for strength, the Sinister comes with a mandrel-bent aluminum pipe directing the air flow from the filter directly to the turbocharger without any restrictions. For durability, Sinister uses silicone seals and couplers instead of rubber, which improves thermal resistance and contact sealing, maintaining the cool air from being affected by any hot air at joints or connections. The Sinister fits perfectly with the specified applications, and are designed to take up as little space, with ease of installation. For simplicity, Sinister reduced all the moving and connecting parts to a minimum, where single components provide maximum integrity, together with a design that is simple to install, reducing installation and maintenance to a minimum. The bottom line is that this is a performance upgrade for racing, so don’t put it on your vehicle for everyday use. Yup, its a performance upgrade, which means its not legal if its on the road, so check first if you can put this one on your engine, or if you care to be pulled over and fined. The final result is power, power and more power in a tight blue package. Irresistibly Sinister! 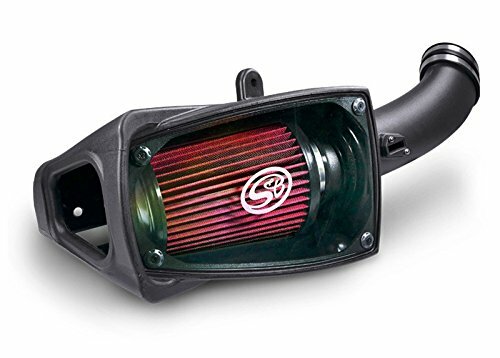 The Spectre 9979 is a classic air intake upgrade for 2012-2016 applications. When it comes to improved stock performance and exceptional materials, then you would be seeking a Spectre. This company specializes in high quality products and doesn’t hold back on design features either. The Spectre 9979 increases your horsepower and torque, and it does so by coming in a tight design that features a red reusable round non-woven synthetic filter connected to aluminum alloy tubing that is polished for appearances and ensconced in a durable box with a black powder coated heat shield. All these component work cohesively to reduce engine heat interference with the fast flow of cool air in the system. The added boots, clamps and hardware make for an easy install that leads to a low maintenance, high performance aftermarket upgrade kit. This is a high quality OEM replacement kit that delivers improvements in performance from channeling cool air flow in your 2012-2106 6.7L Powerstroke requirements.